Many are concerned and only concerned with finding love. Whether they think that the time is right in their lives for love, or that they are lonely, or that they need to find love because everyone else around them has found love, it is important that we all must realize true love isn't something that is forced; it is something that just happens. Many people are so hungry for love that they choose to bite the first type of love that they may see, even if it is toxic. Don't be a fool for love; choose your love as best as possible. It is very true that sometimes love takes us over, and catches many by surprise. But for many love is something that they search for many times over and never really find because they never let it find them instead. 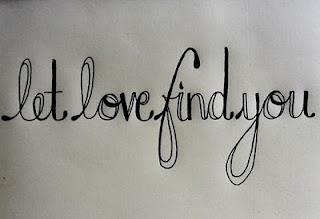 Let your love find you, and you will be so much more grateful for it.